I am a very girly girl and so is Aria. After having two boys it did make a nice change, but the boys like pink and sparkles and dolls, just like Aria does. She likes dirt, cars and football just like the boys. There is no real difference, but when it comes to sparkly shoes, Aria and I know what we want. No one does pretty, sparkly, girls shoes than Lelli Kelly. You’re singing the song from the advert now aren’t you? Well, I know I am. Aria couldn’t wait to get her first pair of seriously gorgeous shoes and these particular ones came from Jake shoes. Aren’t they fab? Aria, couldn’t wait to try them on as soon as they came out the box. Hence the socks, don’t quite do them justice. I love the colours and how the blend as they go along. The beads and sequence are surprisingly stable. 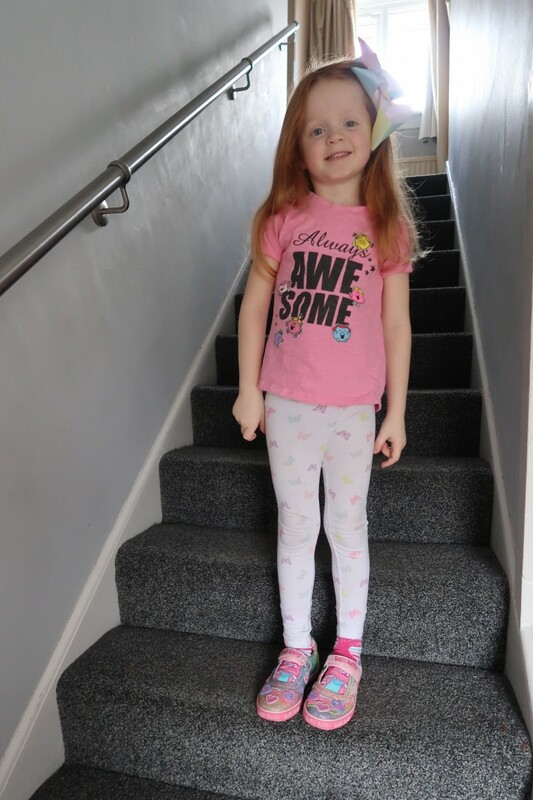 I was worried about her having to be gentle and not wear them out playing, but I was wrong. She wears them loads, scootering and bike riding, nothing has marked these and they show no signs of wear and tear. In terms of price Lelli Kelly shoes are the higher end and to be honest, I was surprised by how well they were made. They are probably not much more expensive than Clarks. They fit well. The sole is soft and does slide or move about. They grip around her foot comfortably and the velcro strapping does seem to be secure and hasn’t come apart. The sole itself is thick and has a fair amount on tread on them. 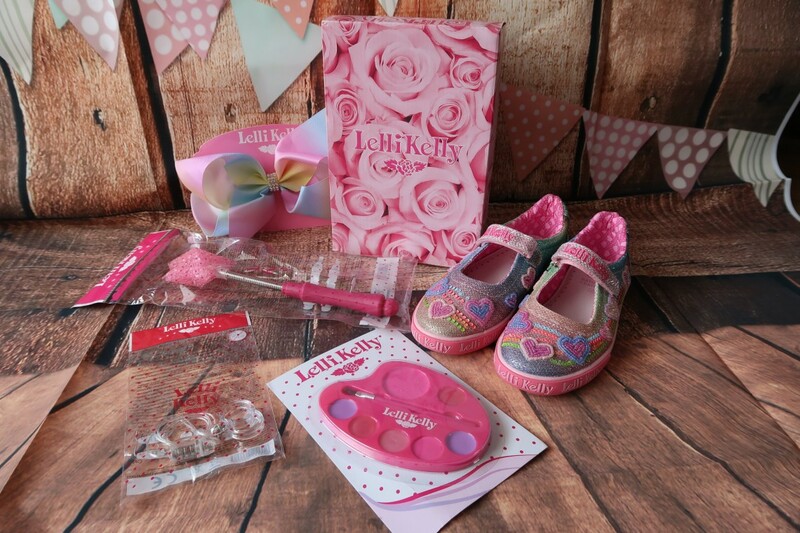 I did not know that you could get Lelli Kelly accessories to be honest and was pleasantly surprised when we received a few through. We’ve not tried out the makeup yet, but it does seem like fun. Aria loved the want and has been pretending to be a fairy godmother ever since. 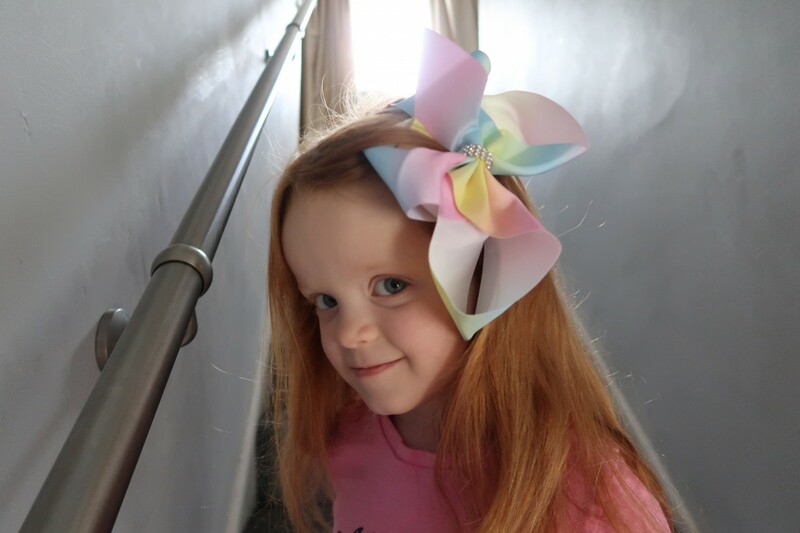 How cute is the hair bow? I love the rainbow colours and it goes perfectly with the shoes. A girls got to accessorise, right? Not the best Aria pose, but she wouldn’t stay still she was so excited to wear these shoes and kept jumping and saying that they were like walking on clouds. I can only take that as a good thing. 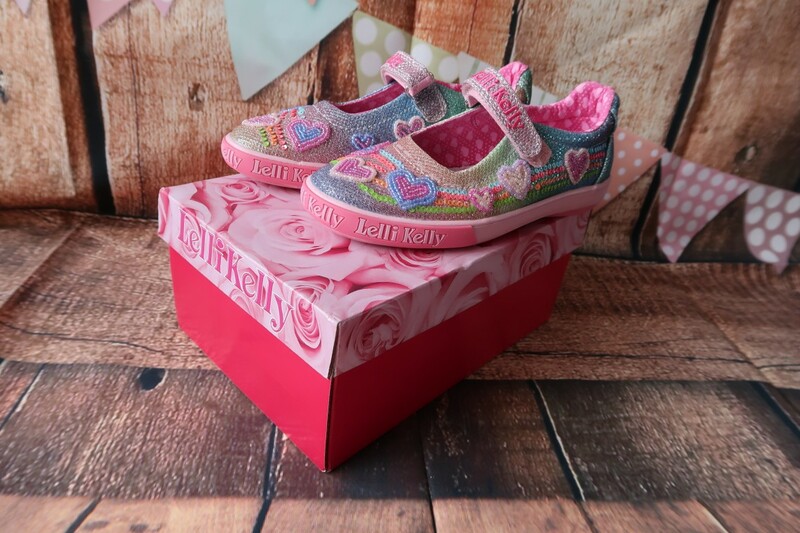 The shoes above are the Lelli Kelly Kids Hearts Bar Shoes. The shoes are made from canvas and have a fantastic amount of padding for support around the ankles as well as the foot. They also have a leather insole, which I have to say is great as most other’s don’t. I cannot rate these highly enough and I have to say, even at the cost of £52.99, I would buy these again. The attention to detail in terms of the beading and patterns is outstanding, it has been well thought out. These will go great with skirts, leggings, dresses and more. Great for dressing up and for just playing outside. I am all for kids shoes being able to be worn and played in. I don’t want my kids to feel like they can’t have fun in case they ruin something. Well, after the first five minutes of course. We love these shoes. Now, if only they came in adult sizes. 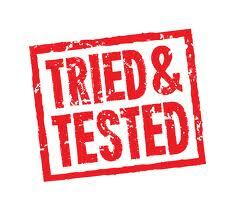 Disclaimer: We were sent the above shoes for the purpose of this review, however, all words and opinions are my own. I am not showing my girl….She has always wanted some Lelli Kelly shoes. These are so pretty and I did not know they did accessories too. My girl loves bows like Aria has. They are so pretty. I remember my daughter always wanting a pair of Lelli Kelly shoes when she was younger. Nice accessories too. 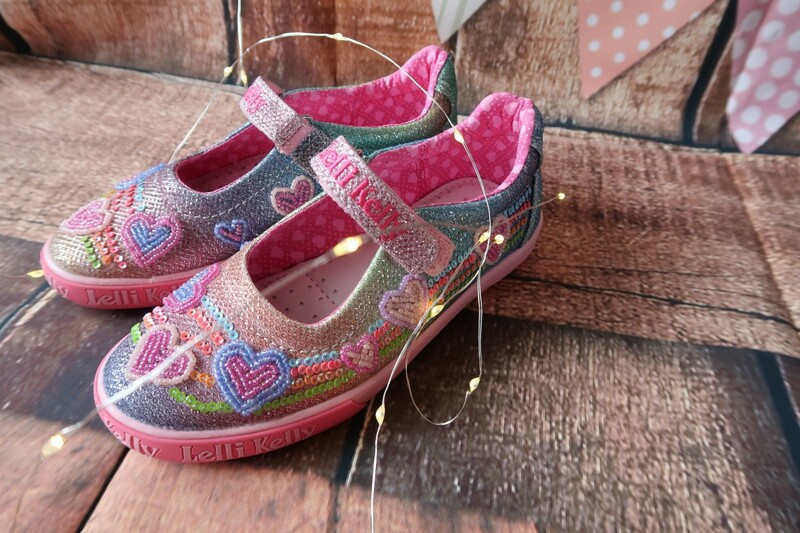 I must admit, being a non-pink and sparkly Mum, I’m glad that Lelli Kelly love has never quite hit our house as I wouldn’t be able to bring myself to buy them. I can totally see the appeal though. The attention to detail is always spot on. I’m not so keen on the gigantic bows, but I love Lelli Kelli shoes and I really wish I had a little girl to dress up in them 😀 I think it’s a step too far for my boys!